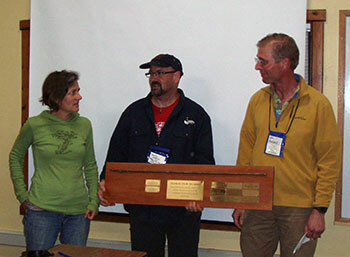 The Big Heart Award is given "for excellence in developing the feeling of ecological building." We salute all our winners, including the many from years past that we do not have pictured here. 2013 recipient David Arkin presents the 2014 award winner CJ Cavet. CJ has coordinated many workshops over the years and was also spearheaded a major website overhaul. View the video! 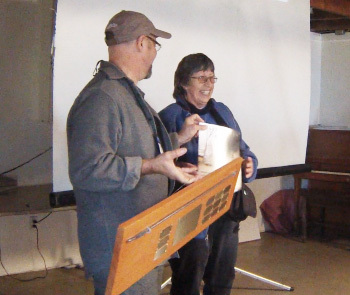 Jim and Joy built their own straw bale home and have been enthusiastic supporters of many, many aspects of CASBA, including the forthcoming Detail Book. 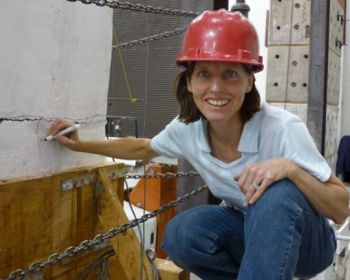 Darcey Donovan marking cracks during one of the Pakistan Straw Bale and Appropriate Building (PAKSBAB) seismic research project wall tests at the University of Reno, Nevada. See the July 2011 issue of the CASBA Journal for an article on Darcey and her work with PAKSBAB. 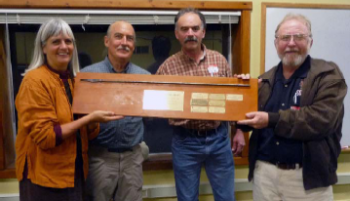 Athena and Bill Steen (left) receive the 2009 Traveling Straw Dawg Award from last year’s recipients Turko Semmes and Greg McMillan (right). 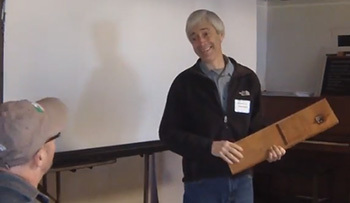 Martin has been an instrumental player in getting strawbale building into the international building code (IBC). 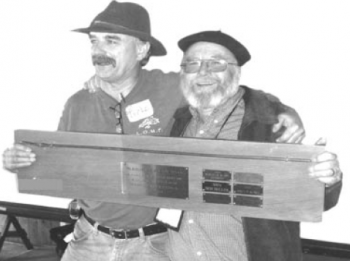 View the video of Ray Sheehy's presentation and Martin's acceptance speech. Advisory Board member Ray Sheehy was recognized for his generous spirit.